Now, a lot of people these days shy away from books that are thicker than three hundred odd pages. This book is twice that, but I'm not one of those people. The thicker the book the better as far as I'm concerned, if the story is a good one then I prefer it to last as long as possible. Actually, some of my most favourite books, such as those by Patricia Briggs and Charlaine Harris, are quite short. And I'm always so disappointed when they end. Fortunately, A Discovery of Witches promised me many days of enjoyment should it happen to be a good story. 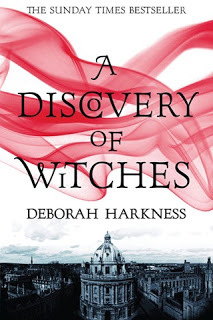 I read the first three hundred pages rather quickly, as I fell right into the world Harkness draws of witches and demons culminating in Oxford because they all want to know what lies inside the manuscript that Diana has inadvertently discovered. Then, when it got to the point where Diana and Matthew go to France to stay in the house of Matthew's vampire mother Ysabeau(I still don't know if I'm pronouncing this name correctly in my head) my interest started to wain. Not a lot was happening in terms of action, but don't get me wrong, I love a bit of down time in a book where the characters are just getting to know each other better, but this down time seemed to be lasting a little bit too long. Things picked up again when Diana goes out to take a walk on the grounds of the estate and is kidnapped by a fellow witch. I liked this part as it was both scary and mysterious, but I won't divulge too many of the details. I got about as far as page 580 and then I had to put the book down because I didn't have time to finish reading it. When I got back to it I found that I actually really liked the ending. (I absolutely adored Faustus by Christopher Marlowe when I read it in college) What happens at the end leads nicely into the next book, with Diana and Matthew timewalking to the 1500's with a new mission at hand. 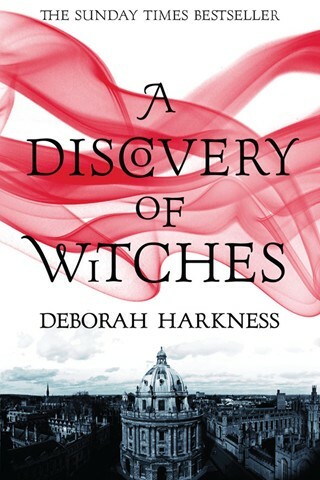 In all, I give A Discovery of Witches four out of five stars, because it was an amazingly well written and intelligent novel with interesting enough characters. The only problem was that I lost interest about half way through, but Harkness mostly won me over again by the time I'd finished reading the novel. In other news, I'm currently working on the sequel to Tegan's Blood and I hope to have it all ready to be published by the end of April. At the moment I'm reading Romeo Spikes by Joanne Reay, but I'm only about 20 pages in because I haven't had the chance to sit down and have a proper go at reading it yet. I will say that I love what I've read so far, the writer has a very unusual and unique way of telling a story, as well as what seems like a very original concept.